When my friend Deb told me she was reading a book called Angelology, and that I had to read it, too, I was skeptical. I mean, it sounded like some funky new age treatise, and secretly, I was worried about what chemicals might be misfiring in her brain. Then she began to describe the plot, and even before she gave me the book, I was hooked. Imagine a world where angels walk beside us, not as mystical guardians but as immortal (or as near to it as makes little difference) preter-natural beings with huge mafia-esque family businesses. Oh, they’re not ‘out’ or anything – but they exist nevertheless – at least in the reality Trussoni has created. Enter Sister Evangeline, orphan, nun, restless soul. She’s been assigned to work in the convent library, and one day while she’s doing just that, she intercepts a letter asking for proof of a connection between her convent’s former Mother Superior and Abigail Rockefeller, yes, the Abigail Rockefeller. That letter sparks a romp through art, literature and history that even Dan Brown would be humbled by, replete with mystery, intrigue, faith, science, and maybe even a little magic. To describe the plot more would be to ruin it. 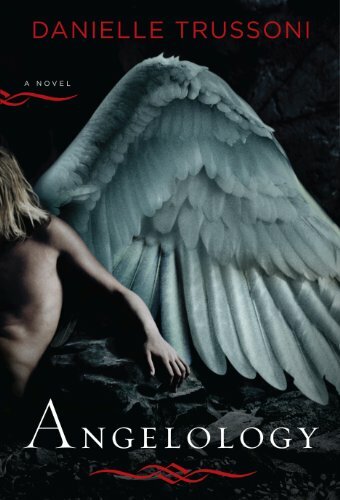 Suffice to say Angelology is a gripping paranormal mystery/thriller of epic proportions. Goes well with a slice of angel food cake, fresh strawberries, and a perfect cappuccino.